● The site tends to offer limited-time free shipping deals applied to minimum purchases, in the past usually between $30-75. Check to see if one is active before finalizing your purchase. ● Visit the Clearance section for savings as much as 75% on featured items, with discounts closer to the higher end of the spectrum during special promotional events. ● Available coupons often offer $5-25 savings, often applicable sitewide and usually with minimum purchase requirements. Other coupons offer additional savings for sale items or tend to point out promotions already available on the site. ● Herberger’s often offers an incentive to sign up for its email newsletter on its homepage, such as 5% off your next order. Check to see if a deal is active. 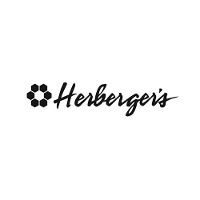 Clothing, accessories, and shoes are just a few of the items that you'll be able to buy from Herberger's. On their website you can view all of the most recent sales and promotions that they have available on the home page. You can search for specific items by keyword or the item number if you know what you're looking for. At the top of their website you'll be able to take a look at the various product categories that they have to offer ranging from women's shoes to gifts for a friend or a family member. To get the best price on your order, be sure to visit the clearance page. For most up to date offers check out Herbergers on Facebook and Twitter or contact Herbergers Support for any questions.